CHARLESTON, W.Va. (April 13, 2019) - Steven Moyers worked a career-best seven innings and struck out a career-high nine batters to keep the GreenJackets at bay, while the Power provided just enough offense to claim a 2-1 victory Saturday afternoon at Appalachian Power Park. Moyers (1-1) was electric from the start, never throwing more than fifteen pitches in a frame. 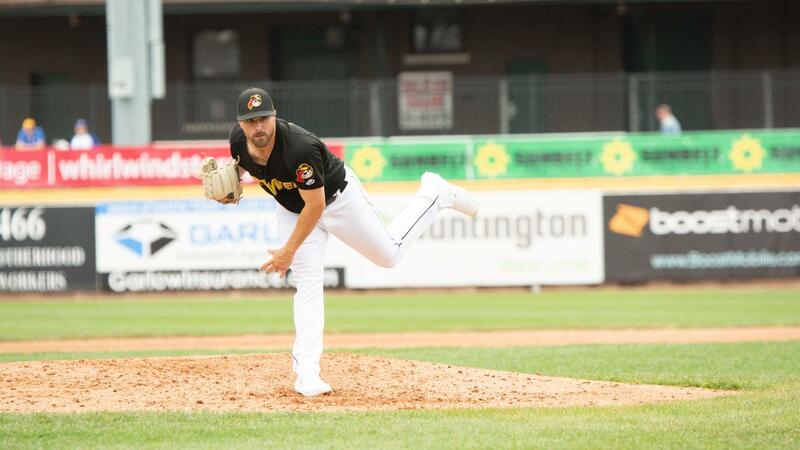 The southpaw allowed just five hits and no walks over his seven scoreless innings. However, the Augusta (4-5) pitching staff was up to the task as well. GreenJackets starter Seth Corry worked four scoreless innings of his own with seven strikeouts, but West Virginia (5-5) was finally able to break through in the fifth. After Corry was replaced by Keaton Winn (1-1) in the fifth inning, the first three Power batters reached base safely via two singles and a walk. The next batter, Ryan Ramiz, came to the plate with the bases loaded and delivered, grounding into a fielder's choice on the right side to score Joseph Rosa and hand West Virginia a 1-0 lead. Working with an advantage for the first time, Moyers put together two more clean innings with a combined fifteen pitches to conclude his outing. In the eighth, Benjamin Onyshko retired all three batters he faced for the hold before turning things over to Dayeison Arias in the ninth. Arias (S, 2) got off to a rocky start, serving up a solo shot to the leadoff man, Aaron Bond, that cut the Power's lead in half at 2-1. However, Arias buckled down after that to set down the next three hitters and record his second save of the season. West Virginia concludes their four-game series against Augusta Sunday afternoon at 2:05 p.m. at Appalachian Power Park. RHP Logan Gilbert (1-0, 0.00 ERA) heads to the bump for the Power, while Augusta goes with RHP Sean Hjelle (0-1, 3.00 ERA). Pregame coverage at 1:45 p.m. on The Jock 1300 and 1340 AM, as well as online at wvpower.com and via the TuneIn Radio App and MiLB First Pitch App. Sunday marks our first Kidz Sunday Funday of the season, where kids ages 12 and younger can play catch in the outfield pregame, as well as run the bases postgame, courtesy of SMART529 College Savings Program. Also, several Power players will be available for postgame autographs. Members of the Sheetz Kidz Club can receive free tickets to all Sunday regular season home games from participating Sheetz locations. For tickets and more information, call us at 304-344-2287 or visit wvpower.com.